Adventure is an important part of living. And I'd argue that adventure is an important part of a marriage, whether that means jumping out of an airplane hand in hand or simply trying a new restaurant now and again. A boldly-lived life is a full life, and there's nothing better than being brave and exploring alongside your partner in life. Our adventure honeymoon in the Rocky Mountains was the perfect way to start our new life together. My now-husband Nathan and I love pursuing adventure. We don't always go after the wildest options, but we aim to expand our horizons and experience life on a deep and meaningful level. So when we began planning for our honeymoon adventure, we knew romance was in store, but we also sought out something slightly different. 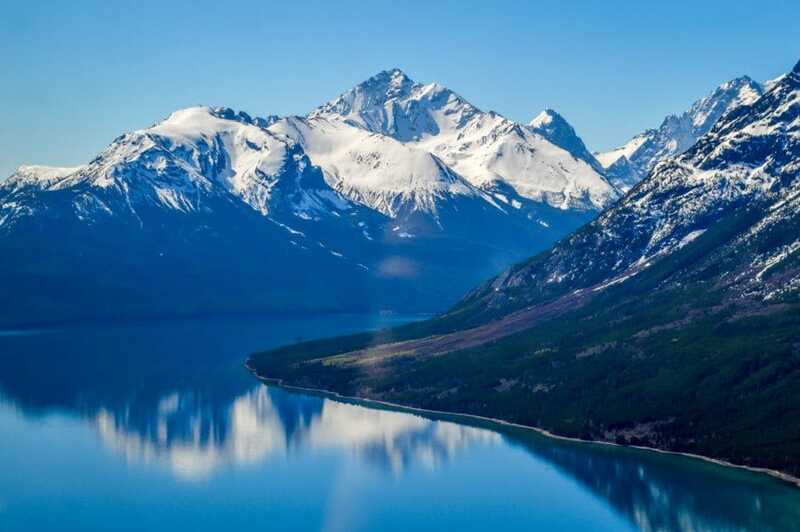 While there's nothing wrong with vacationing on a beach with a tropical drink in hand, we opted to journey to the mountains of western Canada where we could saddle up and live the country life. Starting the first few weeks of our marriage in a rugged and beautiful environment seemed like the perfect way to kick off life together. 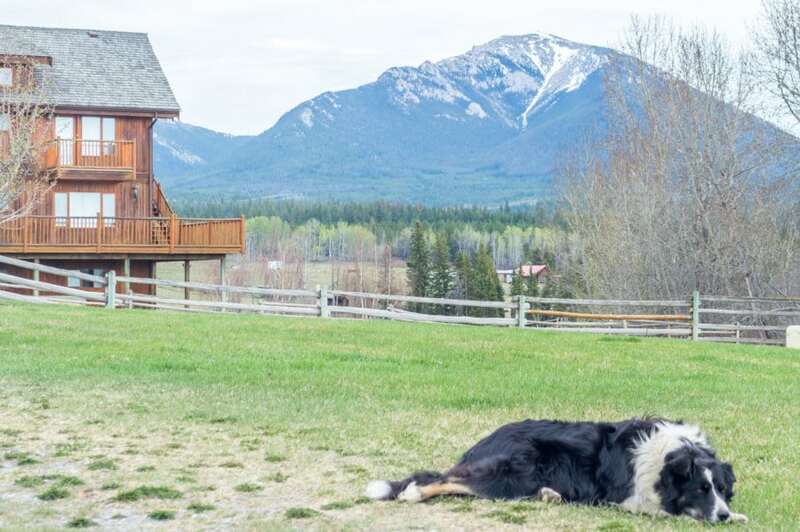 We journeyed many plane flights north to British Columbia, where we spent 5 cozy nights at the Echo Valley Ranch & Spa. Horseback riding out west seemed like the coolest thing–particularly to me, who has never been west of the Mississippi. I suppose I had City Slicker fantasies in my head. While we didn't drive any cattle during this trip, we did get to go on a few trail rides. 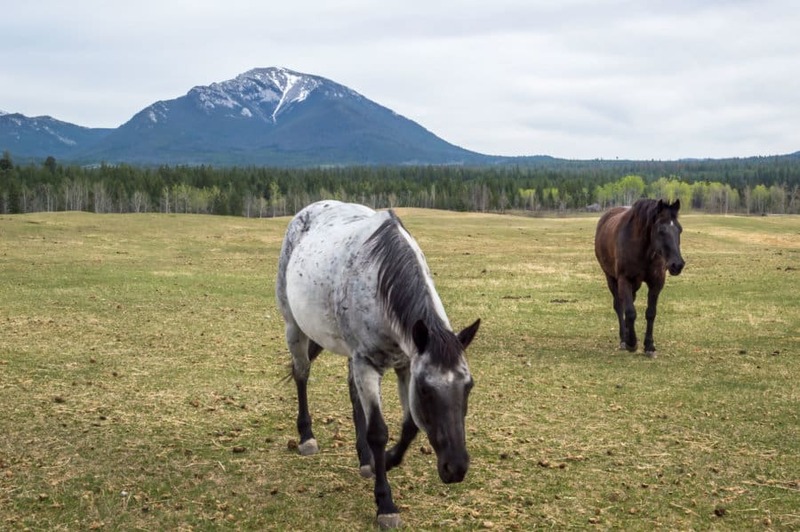 With spectacular scenery and sleek, well-mannered horses, we trotted around the BC countryside keeping our eyes peeled for local wildlife. 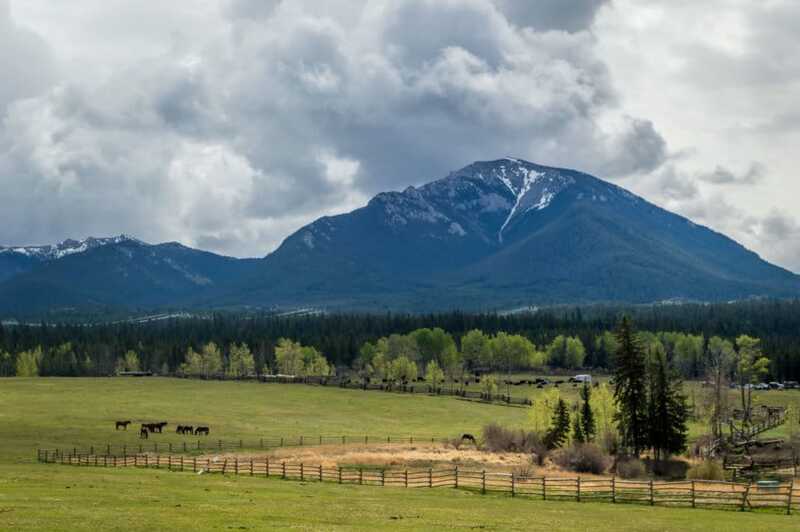 Echo Valley is set on 160 amazing acres, so when you look all around, your views are filled with stony mountains, wide grassy slopes, and tall fir trees. And your ears only hear the sounds of a gentle breeze or the braying of a horse. It is truly one of the most picturesque places we have ever been. Some of the adventure was spent hiking and simply wandering the property. With 5 resident border collies at the ranch, we were never alone while on our walks. Sometimes after our days in the saddle or on foot we'd relax on the deck of our honeymoon cabin reading and drinking wine. After all, adventurous honeymoon means days need to be balanced with blissful nights. One afternoon, we went shooting with one of the staff members, Darryl. We drove to an appointed spot in the woods and set up a host of water balloons and water jugs for our targets. After safety briefings and the distribution of earmuffs, we took turns shooting a rifle, handgun, and a massive rifle type thing that offered a serious kickback. (Ouch my shoulder!) I've always been very nervous at the thought of guns but I thought it would be a good opportunity to learn from a pro hunter. I was best at shooting the handgun (small and light), but pretty terrible at the others. I was impressed by Nathan, however, who blew a water jug to smithereens with the big rifle. Learning to shoot got my heart racing and it was a fun and unique activity to do on a honeymoon. 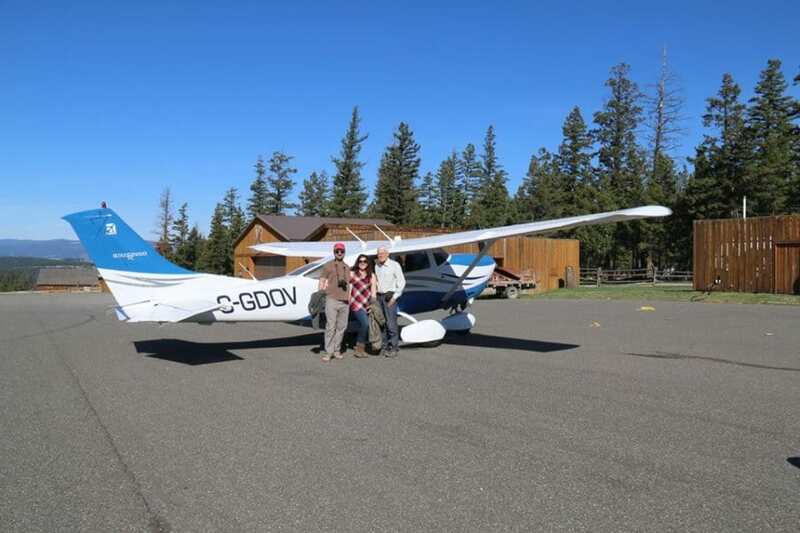 But the crème de la crème of our adventure was when Echo Valley owner Norm took us for a 2.5 hour flight in his Cessna. We grabbed our cameras, strapped in, and took off from the ranch's private landing strip. 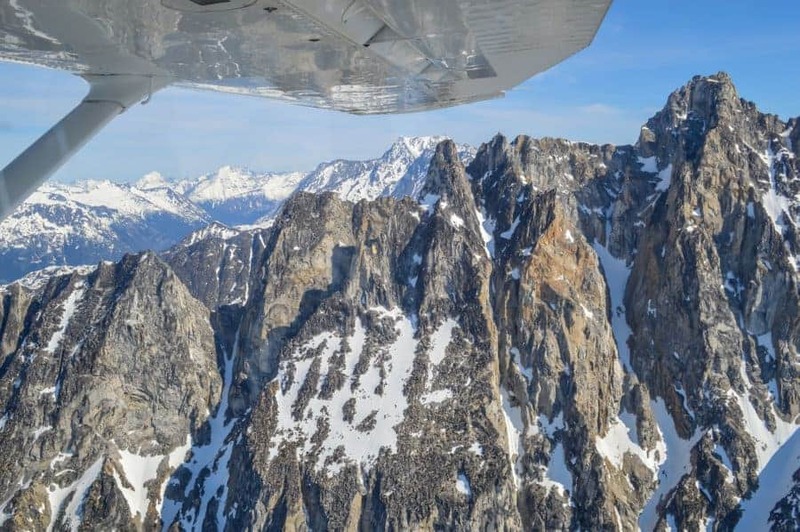 Flying further to the north and west, we headed over spectacular mountain peaks, snow-capped and jagged like something from a nature documentary. Nathan and I were both spellbound as we flew over the lakes and glaciers (but not too spellbound to take 300+ photos!) Norm took us over a backcountry area that is rarely visited, so we felt really fortunate to see the absolute beauty of untouched nature. On the way home, Nathan got to play copilot and try his hand at the plane's controls, much to my chagrin. If there's ever a time to learn to trust your new husband, it's when he's in charge of your life at several thousand feet. I'm proud to say I kept my chill throughout the flight. 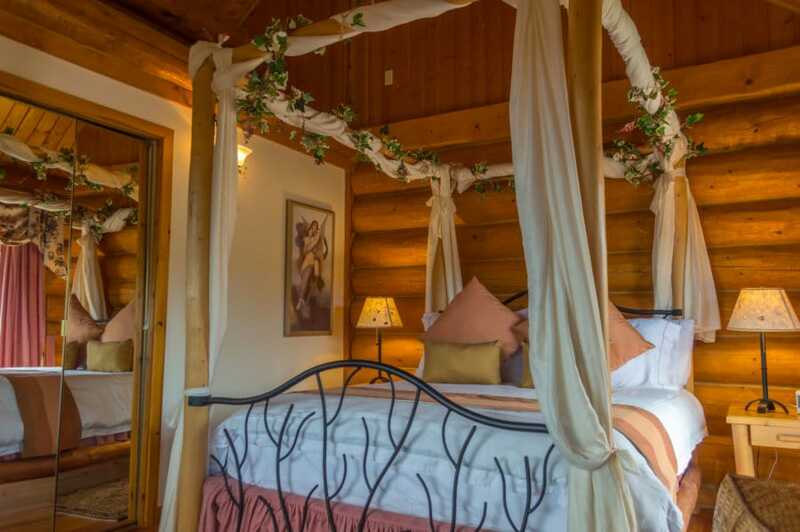 Of course even an adventurous honeymoon needs a little relaxation and romance. We took advantage of the indoor pool (they also have a massive fitness room and a sauna) and of course, booked an appointment with the spa. Our 90 minute couples Thai massage had us floating away (and one of us falling asleep and snoring briefly…I won't name names). Our only regret is that we went shooting AFTER our massage! Even when backpacking as a couple you need romance, see our guide to bringing romance back when on the road. There were a lot of new experiences on this trip, including one of the strangest of all: referring to each other as husband and wife! The (amazing gourmet) meals at Echo Valley are served home style, which meant we got to chat often with the other guests and the staff as we dined at a long communal table. It was thrilling to introduce Nathan as my husband for the first time, and I know those sweet little moments will stick in my memory. So, should you choose an adventurous honeymoon? I say YES! If you blend the exciting activities with quiet romance, you'll have the recipe for a perfect honeymoon. And that's something that I think Echo Valley Ranch does exceedingly well. It's a bit of the wild-west meets Thai elegance and cozy luxury. Everything you could want, in a place that feels like heaven. A perfect activity for an adventurous honeymoon is to take a hot air balloon ride wherever you are! Our honeymoon was graciously sponsored by Echo Valley Ranch & Spa. All opinions are our own. 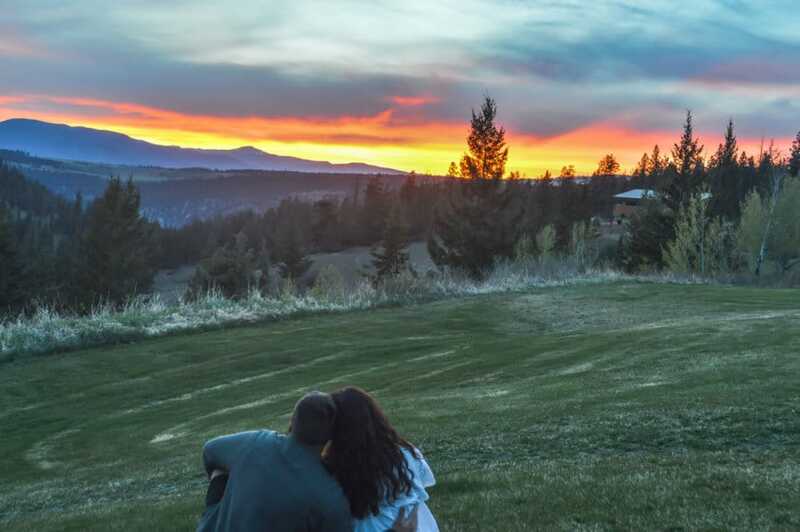 For more information on having your own adventure honeymoon visit Echo Valley Ranch & Spa for details. 21 Responses to "Why You Should Choose an Adventurous Honeymoon"
You have got share the nice concepts as everybody desires their honeymoon ought to be special not the bored one……Thanks for sharing.. 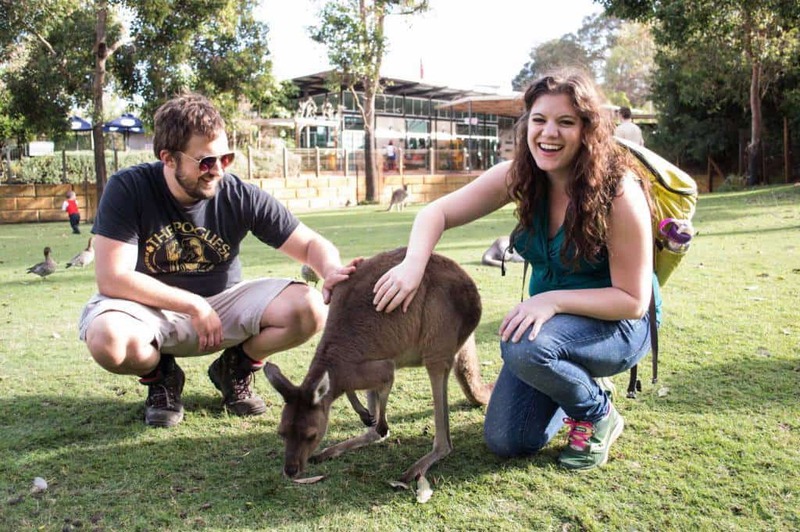 Thank Your, This is Really very interesting and collection of adventures honeymoon trip. I always like adventures trip for any way. For combination adventure and relaxation you can’t do better than south east Asia. There’s great hiking in northern Thailand around Chang Mai, or also in the Cameron Highlands in Malaysia. And both countries also have some beautiful hotels where you could relax for a couple of days to spoil yourself. Having adventure honeymoon is great ! Accomplishing something together is something rejoicing always 🙂 But you will need to plan, my first adventure travel with wife was bit problematic 😀 she got fainted while walking towards waterfall through forest and I carried her on my shoulder, 2 km to where we started. this is nice place nd very beautifull…. Adventurous Honeymoon, This word is sound amazing and lil adventurous. You have share the great ideas as everyone wants their honeymoon should be special not the bored one. My friend who is going to get married soon. This kind of honeymoon shall be great… I will suggest her and share this blog. Awesome. Congratulations to your friend and I hope they have a great honeymoon. You’ll have to let us know where they end up! Nice blog! Thanks for sharing. Really wonderful ideas. These are wonderful ideas for a honeymoon. My wife and I treated our trip to Penang like a honeymoon but these sound just as awesome, if not more. Thanks for sharing this. I love Penang. Dave and I often do that. We figure, we should never have just one honeymoon. We should have many again and again. You sould consider Puerto Vallarta or Cancun in Mexico for a honeymoon as well. Plenty of great activities for couples. Have you guys visited Mexico yet? We’ve been to Mexico a few times and spent a bit of time in both Puerto Vallarta and Cancun. There are great adventures around both destinations, i agree! It’s one of our favourite destinations. Great idea to plan an adventure honeymoon so different from the norm of just laying on a beach day in day out! I agree. Dave and I find that adventure brings us closer together. An adventure by day and romance at night. It always makes life more exciting! Nice blog and great idea, an adventurous honeymoon will let you to face fear and excitement together and will create a strong bond to work in team. Great blog with awesome pics. We agree. Nothing brings Dave and I together more than a great adventure. We find that it helps in the romance department too!